The Flame of Freedom, is standing tall! The Flame of Freedom is part of the Beaver Dam Veterans Memorial located at Oakwood Cemetery Veterans Memorial Park on eastbound Wisconsin Highway 33, just east of its intersection with U.S. 151, Beaver Dam, Wisconsin 53916. The flame is on the north side of the monument. 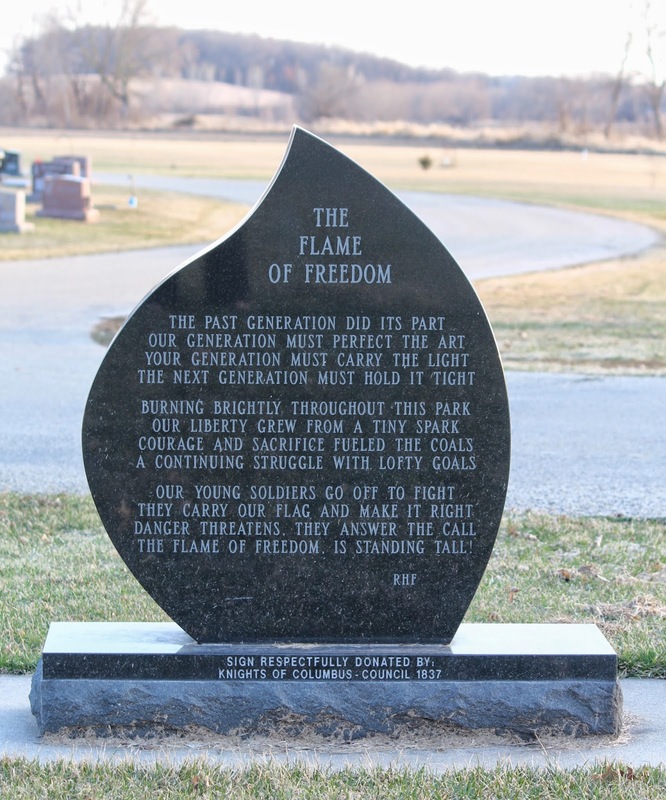 The Flame of Freedom is part of the Beaver Dam Veterans Memorial.